Before I wrote my cookbook, I didn't know squat about baking. Fortunately for me, baking (for the most part) is a based on formulas. You need "x" amount of flour, salt, baking powder and "y" amount of eggs, sugar, milk and whatever else. That worked right into my wee little hands because I spent a number of years at a bank working with numbers and formulas (exciting stuff). Since that time I've experimented with all kinds of different ways to make muffins and picked up a few highly effective baking habits along the way. I consider them "highly effective" because I found they've enabled me to bake light, moist and flavorful muffins consistently no matter what recipe I'm following. I also think of them as "habits" because I use them all the time! Using whole wheat flour to replace a portion of the all-purpose flour is a great idea! It adds fibre and much more nutrition to your muffins. Unfortunately it also makes them dense and heavy. Another way to boost the fiber content is to replace some (not all) of the all-purpose flour with wheat bran (look for it in the cereal aisle). It has more fibre, more flavor and a lighter consistency compared to whole wheat flour. I’ve also started experimenting with Oat Bran as flour substitute (I've used it in Oatmeal Blueberry Muffin recipe at the end of this post). 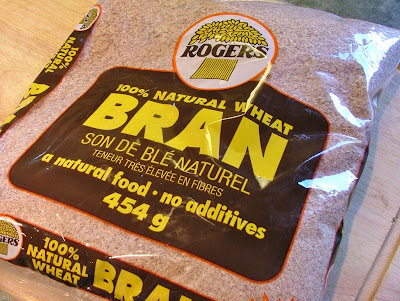 If you can't get your hands on wheat bran, stick with the whole wheat flour. 2. Whisk it…Whisk it Good! I believe I originally picked up this baking habit watching Anna Olsen’s show “Sugar” on Food Network Canada. Her suggestion was to use a whisk instead of a wooden spoon to mix dry ingredients. The reason is it distributes the dry ingredients more efficiently and evenly. It made sense to me and I’ve been doing it ever since! This habit is purely based on my own baking experiences. What I've noticed is oil (such as canola oil) produces much better results than using melted butter when baking muffins. I find the muffins to be both lighter and less dry. Can’t explain why the results are different but I've noticed them enough to stick with oil even if the recipe calls for butter. As for using apple sauce instead of oil…that’s a topic for another day. We feast with our eyes so when I see a muffin recipe that calls for stirring ALL the berries, nuts or chocolate chips into the batter, I take out a pen and replace the word "all" with the word "half". I save the extra half for topping the batter once it's been spooned into the muffin pan tins. 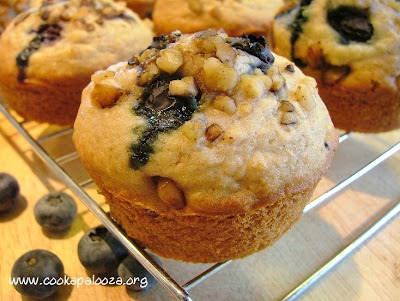 The yummy toppings make the muffins look awesome and offer an irresistible visual of what you can expect to find inside! My oven is most likely different than yours. Baking muffins at 350ºF for 18 to 20 minutes works perfect in my oven but yours may cook them better at 375ºF or 400ºF. The only way to find out the perfect muffin baking temperature for your oven is to...wait for it...bake some muffins. It may take a couple times to find the sweet spot but once you do, stick with it no matter what the recipe your following says. Here's a tip I learned from watching Alton Brown on Food Network. Halfway through the baking process, spin the muffin tray around. I find if I don’t, the muffins closest to the back of the oven get overcooked compared to the muffins closest to the oven door. A quick spin halfway through the baking time is an easy way to ensure all the muffins in the pan bake evenly. It can be hard to deviate from the recipe you're following. It says "bake the muffins at 400ºF for 20 minutes". It says "stir all the berries in the batter". That's when it's a good time to step back and trust what you've learned from your own baking experiences and tailor the recipe so it works perfectly with your oven and personal tastes. I can already see the sharpies coming out to modify my muffin recipe below! 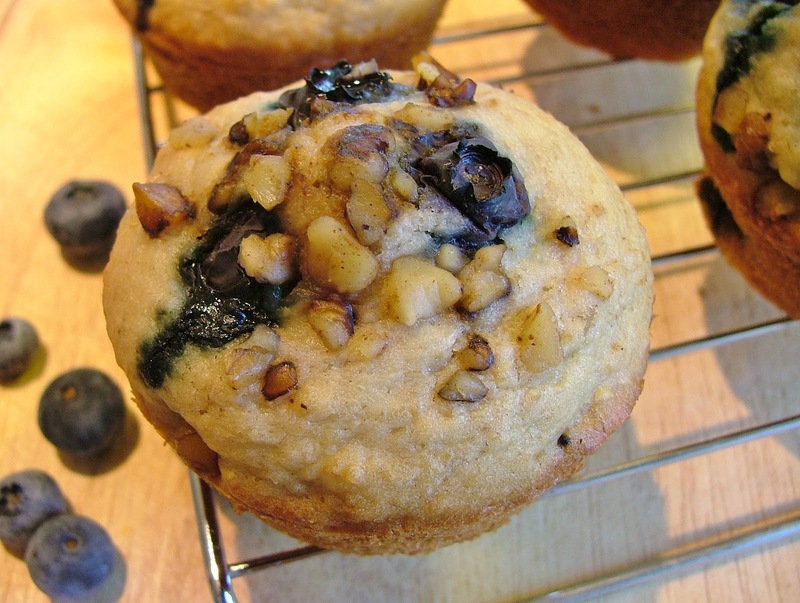 Recipe Inspiration: A recipe calendar that had a muffin recipe that used oat bran. Be patient with the batter. At first it will look really thin but it will thicken as the oat bran soaks up the liquid. 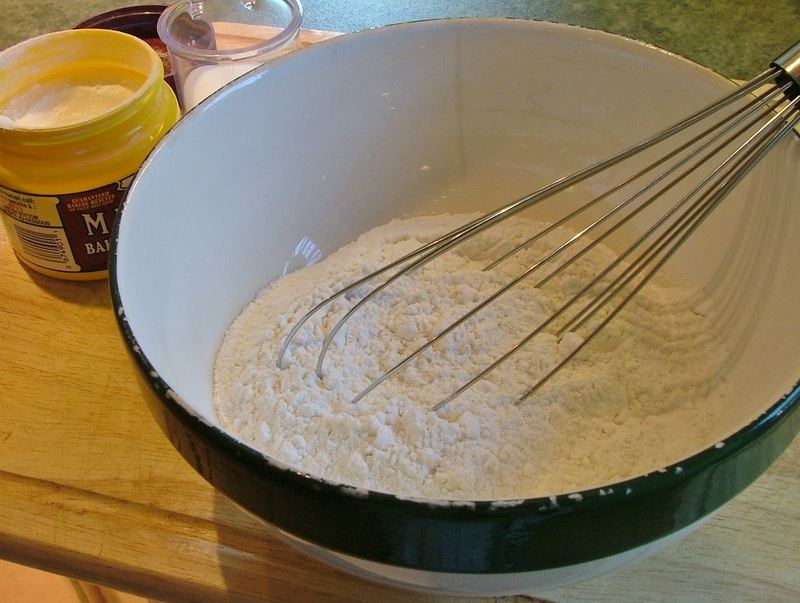 In a large bowl, whisk together flour, oat bran, baking powder, baking soda and salt. Set aside. In a medium bowl, stir together egg, milk, brown sugar, oil and vanilla. Add to dry ingredients and mix just until moistened. Gently stir in half the walnuts and half the blueberries. 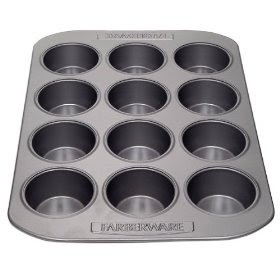 Divide batter evenly among the 12 muffin pan cups. Evenly top each with remaining walnuts and blueberries. Bake in a 375ºF oven for 18 to 20 minutes or until a toothpick inserted in the center of a muffin comes out clean. 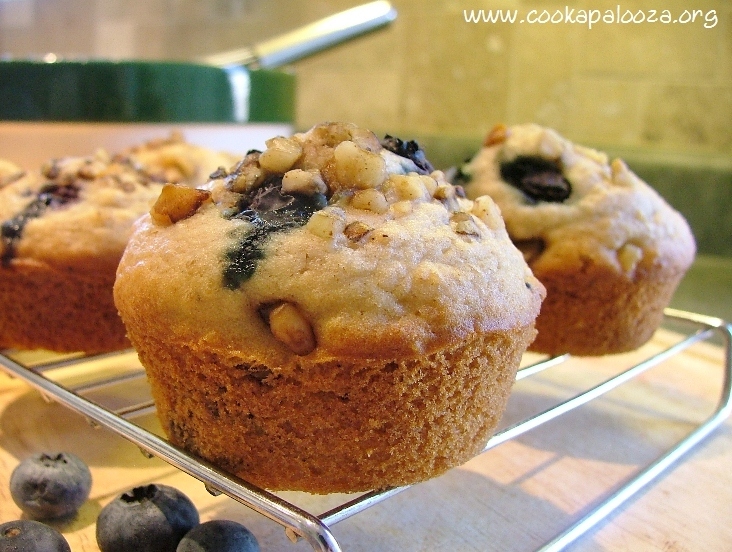 Remove muffins from pan and let cool on a wire rack. I've never tried pastry flour before. Now I'm curious. Next time I'm at the store I'm going to keep an eye out for it!